As one who has always been concerned with health and fitness, allow me to share the benefits of a new found addition in my life! Lavender, Ylang Ylang, and Vetiver kicked off my life to healthy living! While on vacation, I first started using essential oils, when I approached a vender selling essential oils at a farmers market. Noticing a blue bottle named, dreams, I spoke with the sellers. They assured me just rubbing this on my neck and wrists would help me slumber. I was a skeptic. This was the beginning of my journey with essential oils. It worked and I have been exploring ever since! What exactly are essential oils? These oils are distilled from botanicals, plant and trees. The plants vary in size from the tall cedar tree to a small hyssop plant and everything in-between. 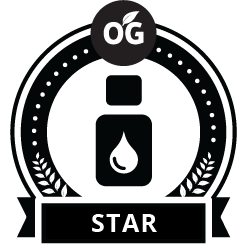 When distilled properly, the oil contains the health supporting power of the source. Plants actually contain the oils to sustain the plant itself. Our bodies absorb these tiny molecules through the skin, aromatically, and sometimes ingested. Lavender, for instance, has a beautiful aroma and can be applied to the neck or wrists for a soothing, relaxing fragrance. It is wonderful to diffuse it before bed to “power down.” It is one of those all-around useful oils–good for your skin; antibacterial properties; anti fungal properties; promotes healing of wounds and inflammatory conditions. Laura is a Plymouth essential oils distributor. Use the contact form to get in touch with Laura. Want to learn more? Contact Laura Tonello — A Plymouth Young Living essential oils distributor.